"After 5 days of brain training, I felt like I had been on holiday for 3 weeks!" "I've meditated for 20 years--been on all kinds of yoga and meditation retreats--in one week of brain training, I got to a very deep place that I've only touched once or twice after being on long retreats. My brain feels like I do when I've been meditating in the forest for weeks. But the effects of brain training last longer!" Brain Training Retreats are done in 5 days or more. In a five day series, there are 2 sessions per day; each session is about 2 hours long. One week is the minimum in order to encourage the brain to adopt the healthy new neural networks as the predominant patterns. Additional sessions reinforce the new patterns and offer further benefit. Brain Training Retreats are done in beautiful Kelowna, in the Okanagan Valley of British Columbia, Canada. Kelowna is best known as a tourist destination. It offers the geographic beauty of gentle mountains and the Okanagan Lake which is 79 miles long! Kelowna has 4 distinct seasons, offers a wide range of recreation, restaurants and culture. What are the qualifications of my brain trainers? Your brain trainers qualifications include: Master Brain Trainer Certificate, Certified Meditation Instructor, Master's Degree, etc. We recommend the hotel 1.5 blocks down the street. Your room is about a 5 minute walk from the Brain Training and Meditation Centre. Within a short distance, a variety of accommodation is available to suit all budgets. We are located in the charming Pandosy Village area which is near to beaches, parks, ethnic restaurants and artisan bakeries. 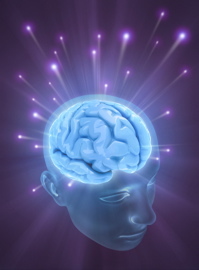 10 sessions (about 2 hours each), includes Brain Mapping Assessment & Brain Training. Ask us how to get the best rate possible at the hotel next door. There are a wide range of restaurants and several grocery stores within walking distance, so food costs are your choice! How do I book a Brain Training Retreat? We can be booked a month in advance, so it is best to plan ahead. A deposit of 50% is required in order to hold a booking. Find out more about Brain Training. "I loved the whole experience. I flew directly to Kelowna International Airport. The hotel was comfortable and clean. The brain trainers are excellent: very calm, gentle, and knowledgeable. The Okanagan Valley is gorgeous. I came away feeling happier, more creative, and sleeping better than I have in years. It's a bonus I have new tools to meditate!" "I learned a lot about myself in 5 days. The meditation & healing centre is peaceful and beautiful. Having caring, skilled brain trainers who walk you through this transformative process is a rare gift. 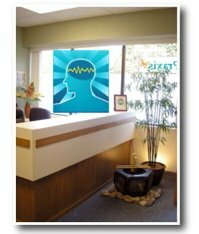 I highly recommend doing a BrainWave Retreat."